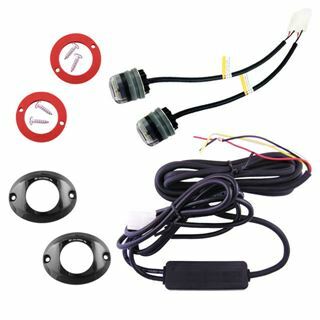 STR-F09 - Universal Push-in Style LED Kit. The STR-F09 universal LED kit includes 2 push-in style bulbs that can be inserted into existing headlight housing or surface-mounted on any vehicle panel. This kit has the capability to do 9 flash patterns with one kit, or 19 flash patterns with two kits.